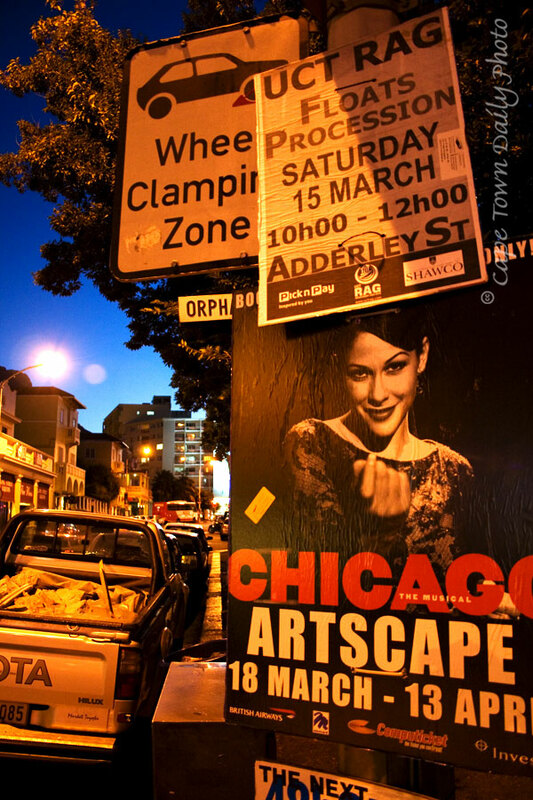 Most lamp-posts in Cape Town are adorned with posters advertising shows, exhibitions, concerts and other events - at least, it certainly seems that way. We thought we'd post this one today: firstly, because the colours are rather pretty, and secondly, in case you're in Cape Town, and didn't realise that the UCT Rag Floats Procession was taking place this weekend. Posted in General on Thursday, 13 March, 2008 by Kerry-Anne.